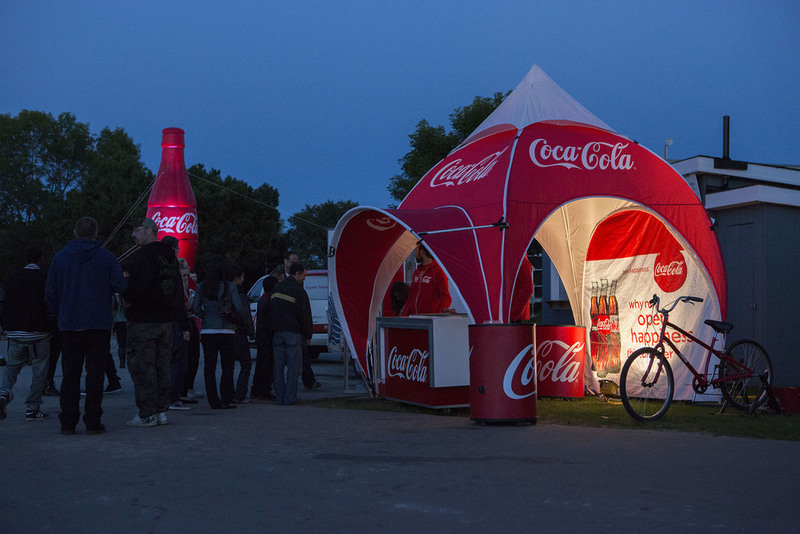 A few weeks ago we were asked by Maple Leaf Sports + Entertainment to photograph the Coca-Cola Happy Fest at Echo Beach. 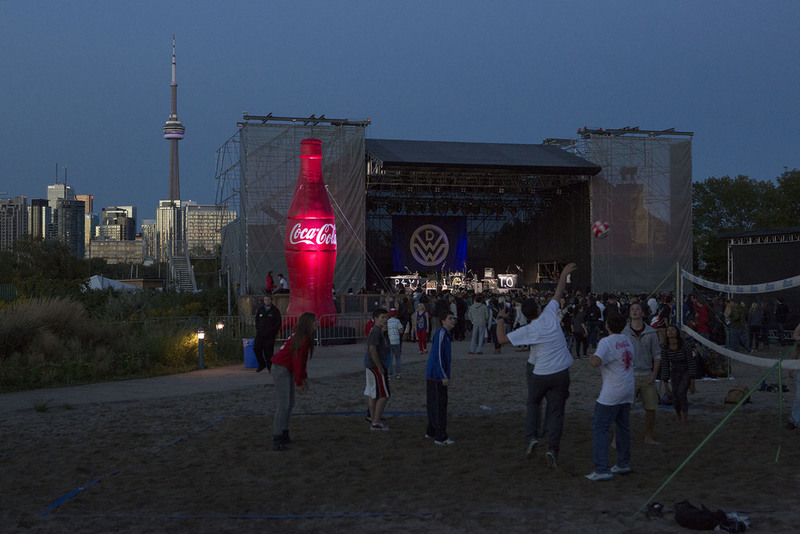 Coke is one of MLSE's corporate partners so there was a large focus on capturing the different branding elements as well as the patrons attending and obviously the performers on stage. The headliner of the show, Down With Webster, put on a great performance full of high energy. The crowd had a great time and we captured some images we're very pleased with. Going into this shoot we anticipated that the main issue would be poor lighting conditions, which translates to two things: wide apertures and high ISO. We used the 5D MK3 and a slew of L series lenses. The obvious picks like the 16-35 f/2.8 L, and the 24-70 f/2.8 L performed expectedly well. However the real standout was the 85mm f/1.2 L. This is obviously a very sharp and fast lens, yet the autofocus is painfully slow which generally makes it a pain to use with fast moving subjects. We loved it for one reason though, bokeh. Shooting at f/1.8-f/2.8 gives gorgeous results, the only hard part is keeping your subject in focus. Lenses aside, the 5D performed admirably as the light faded and ISO climbed higher and higher until landing around 6400-10000. All in all, a great experience for us. Take a look through some of our favourite images from the day!